Clean the sprout kit well and … start all over again! 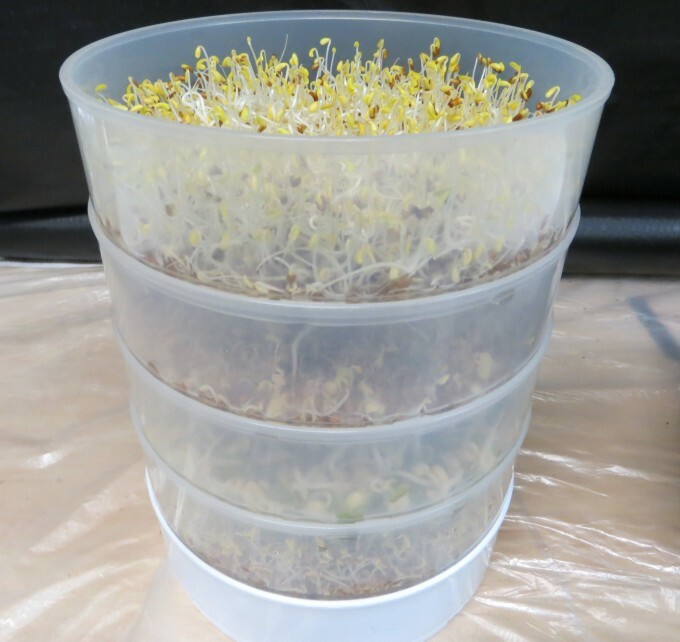 The alfalfa & mung beans sprouts were already growing by Day #2 although it may take 3 or more days to reach the edible stage depending on the type of seeds grown and room temperature. If sprouts are made in the home and eaten raw, young children, elderly persons, or persons with weakened immune systems should NOT eat them. Besides meat, there are other kinds of commercially grown vegetables, such as tomatoes, cucumbers, cantaloupe and salad greens (lettuces & spinach) which are subject to salmonella or e-coli type contamination.The two largest food poisoning outbreaks from sprouts were in Germany in 2011 and Japan in 1996 of bacterial poisoning involving commercial sprouted seeds. Commercial sprouts have greater opportunity to become contaminated from several sources such as: from farm workers, contaminated irrigation water, animal manures, adjoining property effluent. There is also the distance for grown sprouts, after packaging, to travel and become tainted. Sitting on department store shelves may encourage bacterial growth. 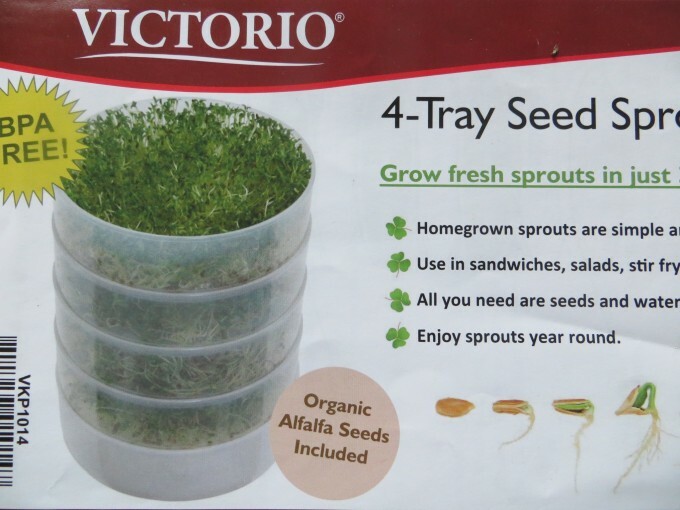 Buy only organic sprout seeds from the USA or Canada. 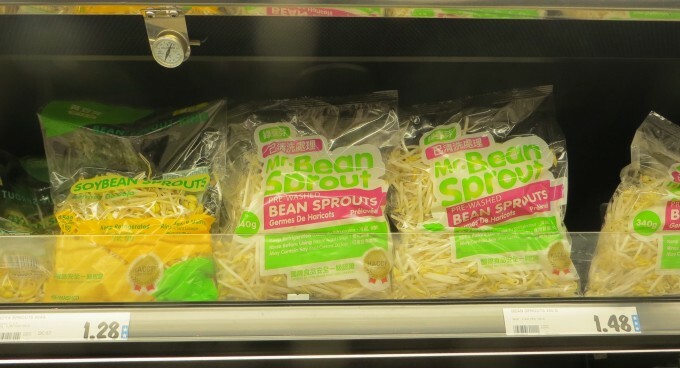 Most commercial sprouts for sale in big box stores are produced in Asia. There are lots of commercial sprout kits available and a great variety of seeds for you to try. There is also a library of technical information on the Net if you are interested in knowing the science behind sprouting. If you love fresh sprouts, follow instructions from buying healthy seed and using purified or filtered water for safe and healthy sprouts. 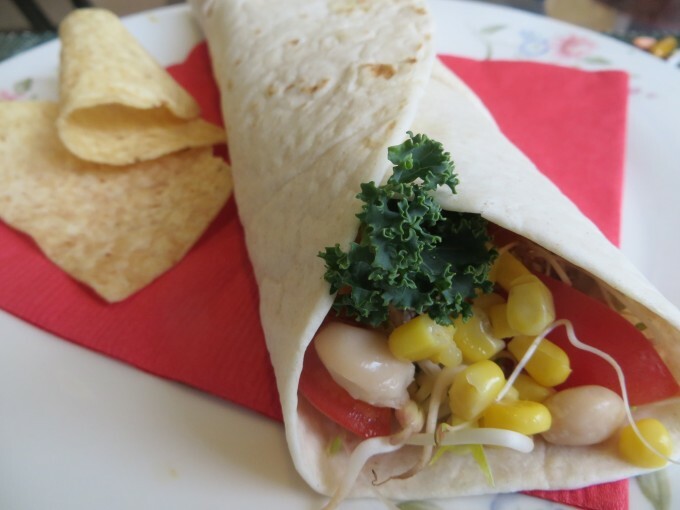 Plan ahead for special occasions or just keep sprouting seeds for your own daily use. You certainly will know where your food comes from and how it was grown. It really is simple to sprout your own seeds and only takes about 5 minutes a day.